All preppers try to secure water, food, and air in case of emergency, regardless of the type of disaster that they are working on. The Chronicles series appreciates the fact that preppers dedicate an inordinate amount of time to preserving important public resources essential for the survival of humanity. The initial goal of the Chronicles was to spread the knowledge and information about water that these preppers have accumulated and shared with only a limited audience so far . Secondly, the aim was to encourage people pay more attention to all, or at least more, life forms, all of which depend on water for survival and share this planet together. In this vein, this initiate collaborated with farmers, botanists, ornithologists, urban beekeepers, wild bean experts, and environmental activists. Through direct engagement with practical, technical, scientific material, Chronicles explores how art can actively and effectively contribute to and inform society. The show travelled to the Gyeongju Arts Center for its second iteration, and was on exhibit from the 17th of January until the 8th of February 2017. 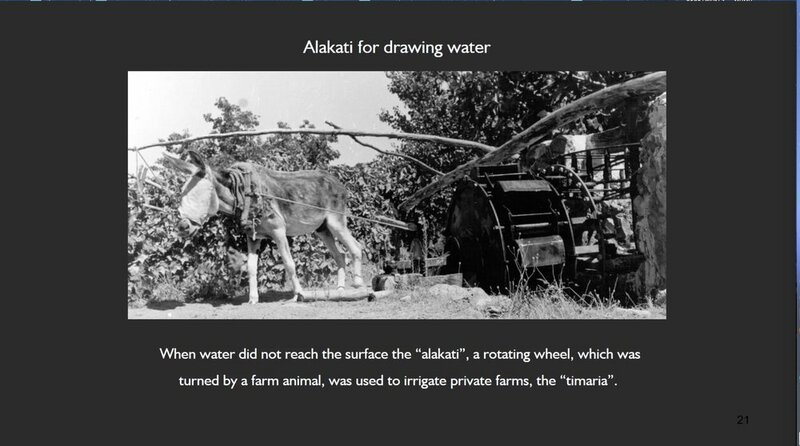 In this exhibition, ACTIVATE presented the project “Cyprus: An Island of Water Preppers”, a 5-Part documentary research project focused on water issues of the island of Cyprus. 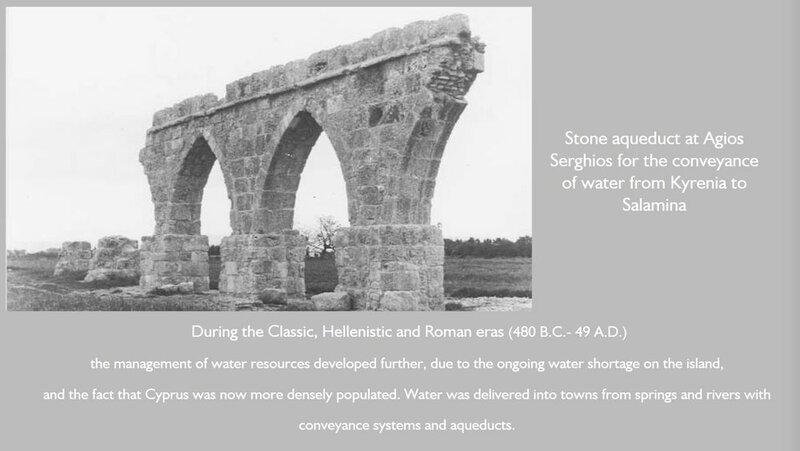 Summary: This Cyprus project documents a brief water history of the island, a semi-arid country in the Eastern Mediterranean, which has suffered from drought and water shortage throughout its history. It covers the scope of governmental management of the water sector since the island’s independence in 1960; scientific research and technology on future regional climate adaptation strategies; ecological restoration projects in urban, wetland and agrarian areas and conservation of the island’s biodiversity; examples of clean technologies in wastewater management; and innovative agricultural methods being pioneered by small-scale farmers on the island, such as regenerative agricultural practices - including ecological management of natural resources, soil-less aquaponic farming methods, integrated agro-ecosystem design techniques, and the preservation of the island’s traditional heirloom seeds. Cyprus, a semi-arid country in the Eastern Mediterranean, has suffered from drought and water shortage throughout its history. Recently, following four years of extreme drought (2004-08), Cyprus was pronounced the first EU country to run out of water. During this crisis, the island faced dramatically reduced water reserves in its surface and underground reservoirs, and large portions of the island reached near desert conditions, with parched land, dried up streams and lakes, and dying forests. 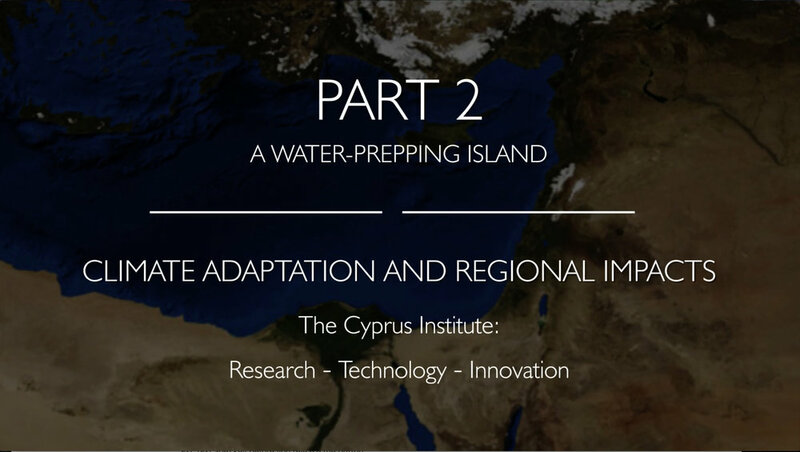 As a small island that has always had to rely solely on its own limited water resources; that has survived water insecurity for centuries; and that has been close to desert conditions on several occasions since pre-civilization periods, it can truly be said that Cyprus has an innate and intrinsic water-prepping tradition. Despite the fact that in just the last few years Cyprus has resolved its daily water demand needs through non-conventional water-supply methods, the eastern Mediterranean and Middle East area has been identified as the first region in the world which due to man-made climate change, will eventually remain waterless in the future. Today, the combined environmental effects of reduced precipitation and rising temperatures, the intensive cultivation and use of surface water and groundwater, agricultural development, expanding urban zones, growing industries and population growth, have played a role in the urgent need in Cyprus for more sustainable and self-sufficient adaptive capacities in all sectors. This project aims to provide an introductory picture of how this island is finding new solutions to its inevitable future water issues through the work that governmental departments, private research institutions, and innovative initiatives by individuals are adopting to ultimately enhance the island's future adaptive abilities in light of projected hydrological conditions and the growing threat of desertification. This includes learning to apply long-term and sustainable solutions that will have to include everything from reducing the island’s average daily water use of 250L/day per person, to the adoption of dryland agro-ecology as the prototypical agricultural production model for the future. The challenges of creating a resilient future, not only for Cyprus, but across the world, depends upon a change in our way of thinking - of how to optimize our water use, in adopting soil regeneration strategies, in creating new food production systems. For this what is also required is a transition away from current chemical-intensive industrial farming that pollutes the environment, accelerates biodiversity loss, and massively contributes to global warming. Our objective must be to ensure land and soil protection, to safeguard future food security, and gain independence from the influence of agribusiness. The aim is to help create pathways for resilient and healthy societies everywhere. "A brief history of water scarcity, extreme drought, and the realities of island management strategies"
"Adapting to the increasing effects of climate change and the growing threat of desertification in the Eastern Mediterranean and North Africa"
Urban Adaptive Restoration | Important Bird Area (IBA) Ecosystem Rehabilitation | Strategies for a Resilient Society, Economy, Food Production and the Environment"
"Low-tech water devices, clean waste management systems, and sustainable water use solutions for the future"
"Ecological management of natural resources - aquaponic farming - building dryland resilence - preserving heirloom seeds for the future"